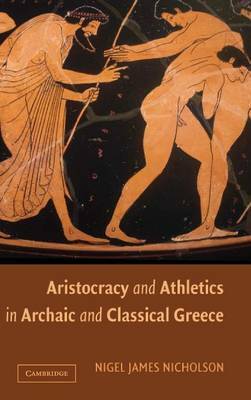 Athletics represented an important institution through which the Greek aristocracies sought to maintain their privileged political position. Victory, however, had always involved the use of others, such as charioteers, jockeys, and trainers, and in the late archaic and early classical period the relationship between the victors and these helpers changed radically. This threatened the political value of athletics and thus undermined the utility of the institution for aristocrats. Nigel Nicholson examines how aristocrats responded to these changes through a study of victory memorials. New Historicist in method, the book draws on odes, dedications, vases, and coins, as well as anecdotes about the victors. It asks how the vulgar details of winning are represented by the memorials, and it assumes that the value of athletics was always under threat, from groups both inside and outside the elite. The result is a fascinating look at one area of social struggle in ancient Greece.